It was good to get out of Wellington for a few days - back into work mode again now. 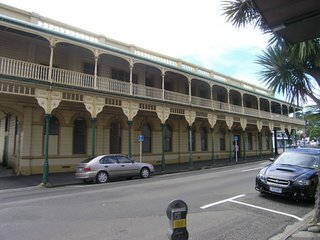 Here are some of the sights of New Plymouth - I was amazed by some of the old buildings (hopefully they don't get ripped down in the name of development). 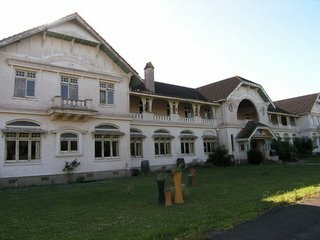 This one is the old Nurses' Home connected to the old hopspital which is now disused. 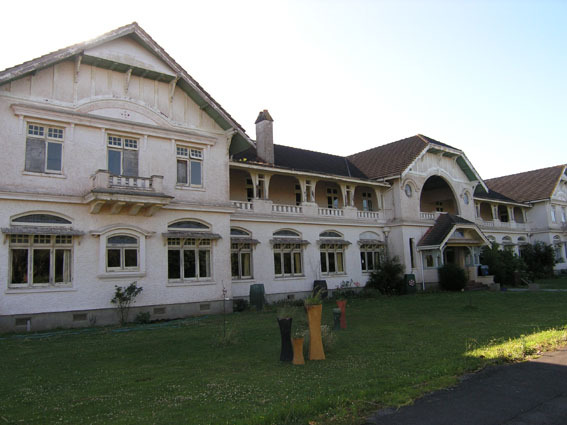 I hear the land and buildings are now owned by local Maori. It seems to be used for art and craft classes at the moment - the future for these buildings is still up in the air. 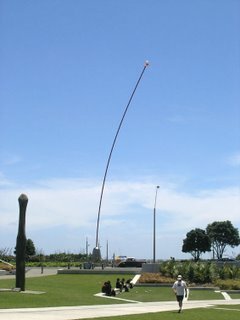 I was blown away by it - such strange architecture for New Zealand. I spent my first evening down at the local park watching an outdoor show of NZ short films put on by the Film Archive. First up, of course, were a couple of Len Lye films. Here's the Len Lye designed wind wand that wobbles about on the waterfront. 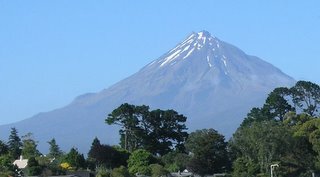 I go a shot of Mount Taranaki on my sunny morning drive out of New Plymouth. Below that is another beautiful old building - an old hotel. It looks as though it's mostly unused. Probably an earthquake risk I guess. I'm digging the montain pic. It is stunning really. And the hotel reminds me of New Orleans buildings. The sky...is such a nice blue. I always love summer skies. Me too -- that mountain photo is so amazingly beautiful; I cannot get over it! WOW! PG - New Orleans - yeah they have that kind of look. 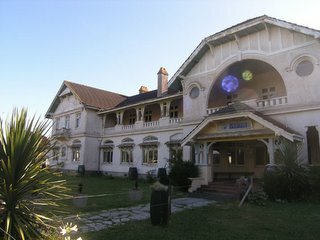 I think they probably look more interesting in their dilapidated state than they would if they were all pretty and restored. Lilly - Isn't that a fantastic pic of the mountain? It's Mount Taranki and is an active volcano! My sis has a view of it from her bedroom window. Well, if I win....guess it's the thought that counts, eh? I really like your collector cars related blog site. I have a collector cars related web site at collector cars. If you're into collector cars. You will want to check it out.